Henri Fayol�s second principle of Management is Authority and Responsibility. Fayol defines authority as �the right to give orders and the power to exact obedience�. To manage an organization means to get things done through people; and to get things done through people, there must be one who knows what is what and who should do what and this one is generally known as manager. A manager, therefore, has a clear goal to achieve and a right direction to move on. To help him, or rather, to cooperate with him in his aim of achieving the goal, there must be adequate people, the colleagues. The manager knows which work must be given to whom and when. He therefore instructs the colleague into the nature of his work. 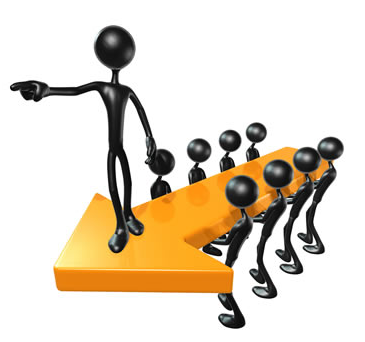 This ability to give instructions to the fellow-worker to accomplish a particular task gives him the power to give instructions, to give orders. In the organizational context, an order is a command that has to be obeyed without argument and the manager can compel his colleague to obey him with the right given to him by the management. In other words, the manager has the authority to command a fellow-worker to carry out a particular task. Henri Fayol�s definition of authority underscores this point only. The power to exact obedience has significance. It says that the manager can take decisions within the restricted area of operations as specified by his superiors and the management will accept his decisions. Truly, authority and responsibility always must go together. Omission of one of the two will render the administration faulty and faltering. Without authority, responsibility cannot be effective and the fellow-worker may choose to obey or not to obey; this situation will land up ultimately in waste of time, resources and money. Come hell or high water, the manager must be obeyed. Then only, there will be direction in the process of management and it is easier to assess the progress already made and yet to make. Without responsibility, mere authority is empty of significance and its command will have no weight. Any chaos and confusion in any organization, public or private, can be easily attributed to investment of huge authority without adequate responsibility; responsibility denotes accountability. Accountability stands for open acceptance of the consequences, be they good or bad. 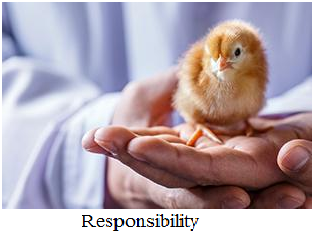 Responsibility makes one serious in his job and authority gives seriousness a meaningful purpose and direction. Administration of any management cannot move smoothly without this principle of Authority and Responsibility.